Daniel Ellenberg, PhD is a co-founder of Relationships That Work®, founder/director of Strength with Heart® men’s groups and workshops, and a principal in Rewire Leadership Institute®. In his work as a leadership coach, communication consultant, licensed psychotherapist, seminar leader, and group facilitator, he helps people create meaningful, inspiring, and resilient personal and professional lives. Daniel co-authored Lovers for Life: Creating Lasting Passion, Trust, and True Partnership with Judith Bell, contributed to The Communication Path, and Mastering the Art of Success, Volume 8. 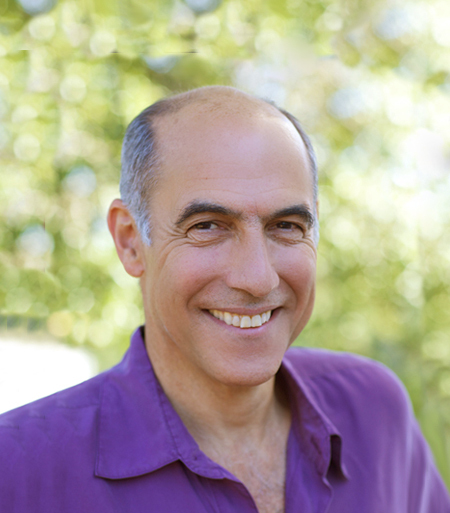 He is in private practice in San Francisco and Marin County. He is a board member of the Wellspring Institute for Neuroscience and Contemplative Wisdom. Daniel specializes in helping people create more authentic, compassionate relationships with themselves and others. He believes that people often learn best when they laugh most. He has led workshops in various places, including Esalen Institute, Spirit Rock, Association of Humanistic Psychology, Stanford University, and NASA. At NASA, he co-created and delivered a specially designed resilience training program. He has been interviewed on radio and television, particularly focusing on the themes of mindful relationships and male psychological transformation.